You will be happy with selection of Montego Bay attractions you can enjoy when you arrive on Jamaica. You can visit such historic places as the Rose Hall Great House with its Georgian architecture and the Sam Sharp Square is packed with historical sites like the National Heroes Monument as well as several bronze statues. On the natural side you can visit the marine park where you can snorkel with numerous tropical fish or immerse yourself in bird watching while visiting the Rockland Bird Sanctuary. If you looking for a beach, then hit-up Doctor’s Cave Beach where you can grab a drink on Hip Strip. 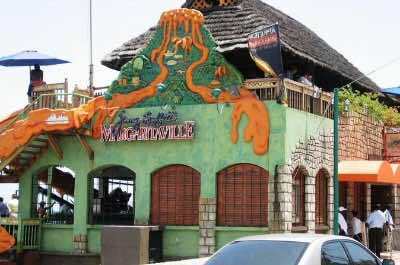 If you want a little taste of home then try Margaritaville in Montego Bay and if you want more of the island culture then a trip to the Rastafari Indigenous Village is a great choice. These are some of the best Montego Bay points of interest for you to see! 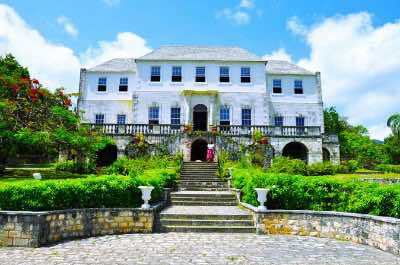 If dabbling in witchcraft does not scare you, then you should visit the Rose Hall Great House - a spook Montego Bay attraction! This imposing home, set on a 6500 acre property is an example of the wealth and prosperity of the plantation-era of Jamaica. The Georgian architecture will delight and you can explore the inside of the home and the magnificent grounds. Your guide will tell you the story of the owner, Annie Palmer, who killed her slave lovers when she tired of them and supposedly poisoned three husbands. She met her death by being smothered in bed by a vindictive slave. After this, head off for a fun traditional meal to lighten up the mood! Getting closely acquainted with the Rastafarian religion will be possible if you visit the Indigenous Village - a relatively new Montego Bay attraction. 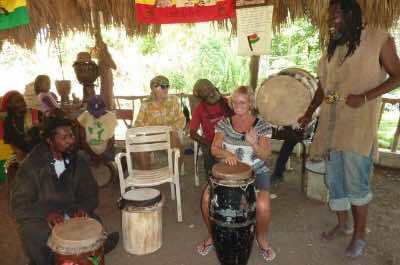 This religion dominates the Island and a visit the Rastafari Indigenous Village offers you a hands-on experience. The village is located in the hills of the Montego River Gardens. Hike with you guide and feel the spine-tingling greeting of beating drums as you arrive. The village is home to craftsmen, farmers and traditional healers who follow the Rastafarian way of life, bound by the 'One Love, One Heart' philosophy. Learn about herbal remedies and take time out to find your inner self as you walk the meditative labyrinth. Buy some handmade jewelry at the local craft market. If you only want to experience one underwater adventure in Jamaica, spend a day at Marine Park - a popular Montego Bay attraction. This protected area offers an amazing snorkeling experience for the whole family to see the variety of marine life in Jamaica. Sponges, corals, stingrays and a myriad of colorful tropical fish will enchant as you float on the surface of the clear water and peer into the depths. Equipment is available to hire if needed and beginners will receive special attention. If you prefer to remain dry, sail in a glass bottomed boat, you will have an equally fabulous view. To end your day, take a cruise on a catamaran and admire the stunning sunset. For rocking entertainment, pay a visit to Margaritaville, one of the best Montego Bay attractions! This iconic venue, located on the Hip strip, is a popular Montego Bay attraction for tourists that offers a bar, a restaurant and a host of fun activities for the movers and shakers. Order your exotic cocktails and then slide down a 120 foot slide from the top deck into the ocean. Play like children and jump on a massive trampoline and other floating creations. The venue is monitored by life guards for safety. Entertainment never stops, you can eat, drink, dance and watch sports on big-screen TV's. Party animals must take the Night Tour which starts at 10.00pm and offers an all-you-can-drink open bar party in this exclusive hot spot. 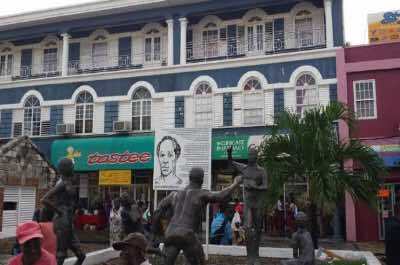 If history thrills you, Sam Sharpe Square is another must-visit Montego Bay attraction. Sam Sharpe was a hero in encouraging a non-violent end to slavery and this square in downtown Montego Bay serves as a reminder of his struggle. See the Civic Centre, the rebuilt Courthouse, the Fountain and the Cage. Be awed at the National Heroes Monument, a bronze sculpture that honors the leaders and those who lost their lives in the Christmas Rebellion of 1831. This popular Square is a meeting place for tourists and locals and is a hub of activity, stroll around and enjoy the atmosphere! Doctor's Cave Beach is the most famous beach in Jamaica and a popular Montego Bay attraction. Located on the Hip Strip, it offers crystal clear calm blue waters and endless white sand. It is also packed full of fun activities for tourist. Rent an umbrella, sip a can of Red Stripe, relax and watch the people. Snorkel to be wowed at the amazing marine life under the water. You can also parasail, jet ski or take a trip on a glass bottom boat. The beach is conveniently located close to the Marine Park and is only a short walk away from the shopping, restaurant, bar and entertainment areas. The Rocklands Bird Sanctuary is a family run business, created by the late Lisa Salmon and now run by her nephew is serving as one of the top Montego Bay points of interest. 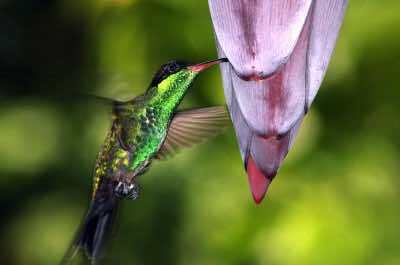 This popular, kids-friendly Montego Bay attraction is home to thousands of native birds and is visited by an equal number of migrant birds annually. See the Jamaican Orioles, Northern Mockingbirds, American Redstarts and look out for a Barn Owl. The setting is perfect, located in the gardens of an old country home and none of the birds are caged. Stroll around and feed the tame hummingbirds that will sit on your hand and drink from bottles of nectar. There are a number of tours that combine a visit to the Bird Sanctuary with other highlights of Montego Bay. 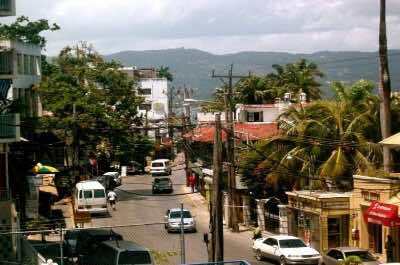 Located on Gloucester Avenue, Hip Strip is one of the newest areas in Montego Bay for people to find top Montego Bay attractions. Hip Strip is a combination of shopping venues, bars and nightclubs that keep the entertainment flowing during the day and evening hours. You can hang out at Doctor’s Cave Beach during the day while you enjoy the sun or you can browse the many shops like Tropical Treasures where you can find that perfect souvenir in a comfortable setting. Hip Strip has many street vendors selling goods from coffee to jewelry to hand crafted home decorations. You can find tremendous nightlife on Hip Strip at Margaritaville, Pier One and Blue Beat where the music and drinks flow into the early morning. At Hip Strip you can slip into the trendy Coral Cliff Hotel Casino for a little table action or just relax with a cold beverage. Whether you want to hang-out on the beach, go shopping or hit up the nightclubs Hip Strip has something that will please everyone. 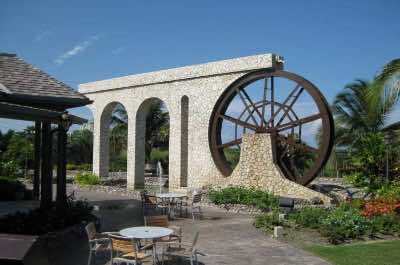 Whether you are staying on the island or arriving by cruise ship, the Ahhh Ras Natango Gallery and Garden is the ideal Montego Bay attraction for people interested in the unique culture of Jamaica. Your 2-hour adventure begins with complimentary pickup service from the port or your hotel where you will meet your guide. You will travel in a comfortable coach to the Ahh Ras Natango Gallery and Garden which is located near the community of Camrose. Once at Ahh Ras Natango Gallery and Garden you will be thrilled at the outstanding original artworks known as Moz-Eggs which have been created by Ras Natango, his son Ayale and several other Jamaican artists. 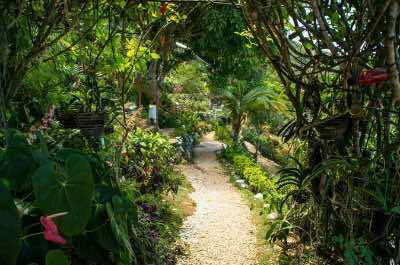 As you stroll through the gardens you will see beautiful tropical plants in a very tranquil atmosphere which includes wildlife sightings of 18 of the 28 endemic birds of Jamaica such as the Doctor Bird which is the national bird of Jamaica. You will have a chance to browse the incredible gift shop full of other authentic Jamaican arts and crafts. The Ahhh Ras Natango Gallery and Garden Tour concludes with transportation back to your respective hotel. If you are the type of person that worries about going through immigration and customs in a foreign country then a cool Montego Bay attraction is the Layover Lounge Access: Club Mobay at Sangster International Airport. Whether you arriving or departing the Club Mobay lounge is the easiest way to travel through the airport and you will receive personalized VIP treatment as you move from immigration to customs to security. Once inside the lounge you will enjoy complimentary Wi-Fi, snacks, beverages, cable television and a comfortable place to relax before you are escorted to your arranged hotel transportation or before you board your airplane to go home. Your children will like playing games on the Samsung tablets which are provided as well as in Pickney Place children area. Adults will enjoy peace and quiet in soundproof lounge. 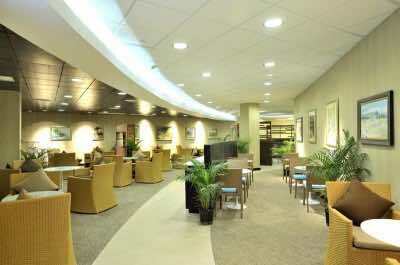 The Layover Lounge Access: Club Mobay at Sangster International Airport is the perfect way to begin or end your vacation in Jamaica. The Greenwood Great House is a unique piece of English history on Jamaica and a perfect Montego Bay attraction when you as well as family want to learn about how Jamaica became part of the British Empire. Your 3-hour excursion begins with pickup service from a central location in Montego Bay or from the Grand Palladium Resort where you will meet your expert guide who will give an interesting narrative throughout your tour. You will travel by comfortable coach while you enjoy the tropical scenery on your way to the Greenwood Great House. 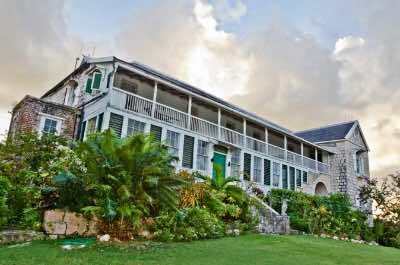 Once at the Greenwood Great House you will be thrilled with the knowledge you gain about the history of Jamaica and the exquisite architectural style of the 1800s buildings. You will view the incredible manicured grounds as well as the fields of the plantation. You will also have the opportunity to speak with members of the Greenwood community to gather a more intimate knowledge of present day Jamaica. The Greenwood Great House Tour from Montego Bay and Grand Palladium ends with drop-off service at your original starting point. When you are ready to go shopping in Montego Bay then the Shoppes at Rose Hall is the best Montego Bay attraction. There are 28 different shopping venues at the Shoppes at Rose Hall which include eleven boutique stores such as the Perfume Stops for that special fragrance, Clothing Store by Rainbow Stores, the Rose Hall Cigar Club, Jammin Jamaica offers unique clothing for women and the Shade Shack has all the eye wear you need for vacation. Rose Hall, one of the most popular Montego Bay points of interest, has nine duty free shops which offer everything from jewelry at Jewels in Paradise to specialty goods at Esperanza to watches at Colors. There are seven souvenir shops at Rose Hall which include Shania’s Mystique Treasures, the Reggie Walk for Bob Marley memorabilia and the Caribbean Club boasts arts and crafts created by local artists. When you are hungry the Shoppes at Rose Hall has four unique restaurants from Café Blue to Booze and Bites to Coffee and Spice.